This accommodation cannot yet be booked on SleepOut.com. 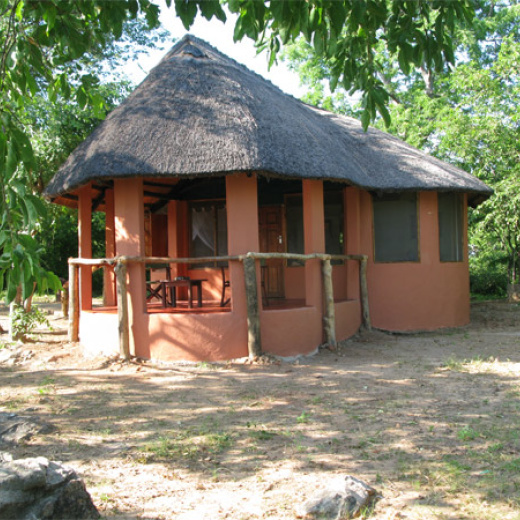 Find more accommodation options in Zambia. Situated on the shores of Lake Kariba, Lakeview chalets offers affordable and comfortable bed and breakfast accommodation close to the quaint village of Sinazongwe. The lodge is set in well established gardens and comprises three 5 sleeper chalets which overlook the Lake. For visitors wishing to camp, Lakeview Lodge offers an affordable camping alternative. The pool and dining area at Lakeview Lodge provide a wonderful setting to relax and enjoy spectacular sunrises, watch the crocodiles slink pass, and take in the natural beauty of Lake Kariba.